With the destruction of the Jerusalem Temple and the exile of members of the Israelite community to the land of its enemies, whose gods were represented as divine statues, the prophet Ezekiel faced a challenge: how to respond to the enemies' taunts that Israel's God was absent, whereas the foreigners' gods self-evidently were present. Thus, to ask the question, "Where is God" was to face several complex and tangled problems. How is God to be represented? How is Yahweh to be differentiated from other deities? What is Yahweh's relationship to Israel in exile? 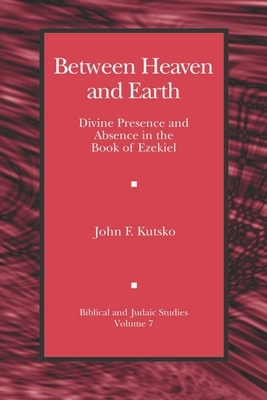 Kutsko sets out to answer these questions within the theme of divine presence and absence, particularly as it relates to the kabod theology in Ezekiel. He shows that God's absence becomes, for Ezekiel, an argument for his presence and power, while the presence of idols indicated their absence and impotence. Ezekiel extends this proposition into a corollary: God's presence is not consigned to sanctuary, for God is a sanctuary. In this regard, absence from the Temple is a message of judgment and the precursor to a message of restoration. If God can become a sanctuary, his presence in exile becomes a message of victory even over imperial powers. This conceptualization of Yahweh, then, ends up defining the power and position of Israel's God in distinctively universal terms. In this contribution, the book of Ezekiel plays a central and previously unappreciated role in the development of Israelite theology, and monotheism in particular.